I was always the kid who begged my teacher not to assign me to a group project but to let me do an individual one. When I did end up with a group, one of three things happened: 1) they ignored me; 2) they made fun of me for my odd appearance and behavior; 3) they had me do all the work. As an adult I was diagnosed with Asperger’s syndrome, now part of the autism spectrum, and it answered the questions I had about why I never fit in, why it was so hard for me to make friends, and why I always seemed to get into trouble no matter how hard I tried to follow the rules. At the time I edited MultiCultural Review from my home office, keeping in contact with my supervisor, writers, and copyeditor via phone and email. I’d also harbored dreams of writing fiction for teens and adults but avoided writing directly about my own experiences growing up because they were too painful. My autism spectrum diagnosis forced me to face my past and inspired me to write about it for young people who may be going through the same things I experienced, so they would know they weren’t alone. Currently, one in 68 children is diagnosed with autism, though underdiagnosis is still more common in girls and women. My novel Rogue, featuring a young teenage girl with undiagnosed Asperger’s and an X-Men obsession in search of a friend and her own special power, came out in 2013, and I am pleased that it gave solace and hope to kids like me. 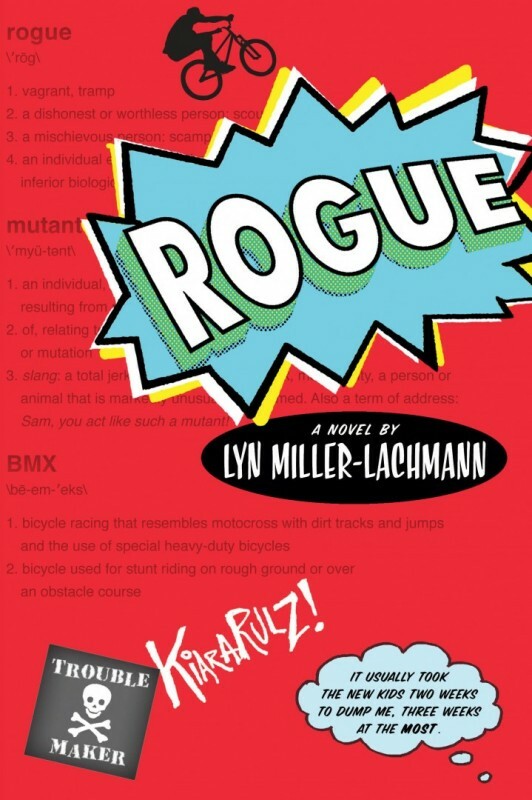 Five years later, Rogue is out of print and I am planning to self-publish a new edition in paperback and e-book at the beginning of 2019. 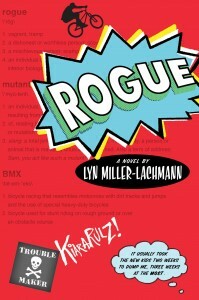 Rogue is also the last book I wrote that has sold to a publisher. Not including picture books and projects that died out at early stages, write-for-hires and translations (because fascination with languages and the ability to learn them is one of my special powers), I’m now starting my sixth book-length project since Rogue. As I see how publishing has changed over the years, I’m coming to see self-publishing — the individual rather than the group project — as an option for my new work. I wish this weren’t the case. Several of my new books feature an #ownvoices autistic protagonist, and I know that, were these books eligible for purchase in schools and libraries (which self-published books generally are not), they would offer insight and inspiration to teen readers on the spectrum while showing neurotypical readers the value of an autistic perspective. Still, I am proud to have been a pioneer. I cheer the successes of new autistic children’s authors — many of them women, queer, and IPOC — who have emerged in the past several years, as well as those who are signing their first contracts now. I think there are ways publishing can change to be more friendly to neurodiverse authors, and I believe that the industry can and should accommodate rather than ask us to do all the changing. Because we can’t. We are who we are, and the anxiety of being forced to act differently is intense and disruptive of already fragile lives and relationships. Many of us will fail despite our best efforts. I have skills! 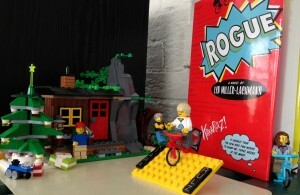 I make Lego vignettes from my books. In the spirit of being positive and proactive, I’d like to suggest ways that editors and sales/marketing staff can help autistic authors to maintain successful careers. One of the most difficult things for me to deal with as an autistic author is the dominant communication style of the industry. Everyone appears friendly. Everyone smiles. I interpreted that as a sign that they liked me, approved of whatever I was doing, and wanted me to hang around. I cannot “read between the lines.” I need to be told what is appropriate behavior in person and on social media — and the reason why. I may need to be told multiple times. As I’ve explained to students in school visits, having autism is similar to having a learning disability like dyslexia, except it’s in social communication rather than reading. And while children’s publishing is female-dominated, autistic women often follow patterns of interaction and communication more often identified as male or outside traditional gender categories altogether. When I was growing up, my cruelest tormentors were usually other girls, whose words and actions seemed to contradict each other, making it almost impossible for me to understand them. The emphasis on self-promotion is another way that autistic authors are disadvantaged, and where changes on the publisher level can build skills and success. When my book came out, I received a one-page sheet on how to organize a bookstore signing. I know it’s tough for authors to go into a bookstore and chat up the buyers to gain support, but for me, it’s more than social anxiety. My efforts have been, in a word, counterproductive. Many autistic people need social scripts, and this is one way that publicists can work with writers on the spectrum. Yes, it takes time and and the dedication of additional resources. However, if publishers want to invest in an author’s career, one of the things they can do is give their own voices autistic authors the skills to self-advocate for their work effectively. A large publisher should have at least one publicist on staff with the ability to work with neurodiverse authors — ideally, a publicist who is neurodiverse as well. Benny Doesn’t Like to Be Hugged explores through poetry and image a young girl’s friendship with autistic Benny. I was a consultant for this critically acclaimed self-published book. Last year a white Facebook “friend” suggested that my decision to self-publish was analogous to Blacks in the civil rights era choosing to dine in their segregated neighborhood instead of integrating Jim Crow lunch counters in the South. In her mind, self-publishing is a cowardly form of surrender; to be truly noble (and, therefore, deserving of publication) I ought to patiently insist upon my right to sit alongside white authors regardless of the hostility, rejection, and disdain I regularly encounter…. It frustrates me that most people seem comfortable with the reform of the existing system rather than its transformation. The idea of trying something new seems positively terrifying, and those of us proposing viable alternatives are generally shut out of the diversity discussion. My Lego town, Little Brick Township, is a school visit favorite. It combines kits and original creations in a realistic style drawn from historic buildings. This needs to change, and brave people genuinely committed to diversity and justice are the people who should take the first steps to change it. From my perspective as an autistic author with three traditionally published books for tweens and teens, now self-publishing a new edition of one of them and considering going it alone for my newest work, I ask you to do two things. Embrace authors whose work you like and who have chosen other paths besides the traditional one. And work to make the publishing industry more inclusive and friendly to disabled and neurodiverse authors so that our voices become part of the canon and inspire those coming along behind us. I’m leaving a comment so I can subscribe for more posts. Keep up the good work! Thank you for reading, commenting, and subscribing! I’m planning to include more pieces in the future on travel and autism, and hope to see more books for kids on the topic. Thank you also for all the great work you’re doing! This is so clear & thoughtful. Thank you for helping me understand issues that all of us in kidlit need to think about & improve. Thank you! And please let me know if you have any follow-up questions. I’m happy to help! An excellent essay about inclusion on a topic that isn’t on most people’s radar. I hope your words give your books more exposure, whether you end up choosing to self-publish or get more traction with traditional publishers! Thank you, Jilanne! The main thing I hope it does is make people aware of how their patterns of interaction exclude and cause harm to people who happen to think differently, at a time when we need those different perspectives. Great post, Lyn. Thank you! Thank you for reading, Tracey! And I squeezed in some pictures from my Lego town! Thank you for the clear and insightful post, and also for sharing your lego town, which looks marvelous! I have a question for you–are there things conference and festival organizers can do to help make neurotypical folks feel more comfortable? Hi, Charlotte! I had a great time at Kidlitcon and look forward to attending the conference next year in Providence. For me, some of the things that help are having quiet rooms or corners for downtime and making sure places where people gather aren’t too crowded or closed in and the acoustics don’t amplify noise. Larger conventions have other challenges. I’m always getting lost at ALA. One thing you do well is create a welcoming atmosphere, with enough volunteers to greet and assist attendees. Lyn, thank you for such a fine post. I learned something new today. Thank you, Amy! That was certainly my plan! So, so much of this speaks to me and mirrors my own experiences–not the publishing experiences, as I’m not to that stage yet, but the life experiences. Thank you so much for writing this. Thank you for reading it, Kate. And when you get to that stage, I want to make sure you’re welcomed, included, and provided with what you need to do your best work. Great post, thank you so much, Lyn! I especially appreciate the concrete advice at the end–it will be useful to me as a librarian. Thank you, Amanda! Please let me know if you have other questions! Lyn, my friend, thank you so very much for writing about this so candidly and openly. Yes, neurodiversity should be considered a viable part of the diversity movement. And yes, too often it’s not mentioned. Like you, I’ve struggled lifelong with my autism. It takes a sensory toll to appear at a conference or do a busy day of school visits. Everything is a balancing act. But it’s worth it because there are many, many, many kids out there — not just the 1 in 68, but all their friends, classmates, and siblings — in need of stories of neurodivergence and acceptance. Whether self-published, traditionally published, handwritten, or spoken, it doesn’t matter. The stories themselves matter. Because there are kids out there in need of them. 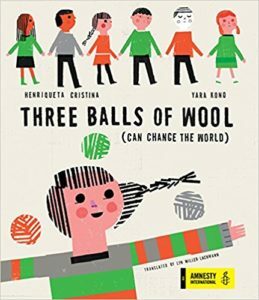 So anything the kidlit world can do to help facilitate that is very welcome. Thank you, Sally, for your support of this piece and for all your work with young people despite the toll it takes on you. It meant a lot to me to speak with kids on the spectrum, their siblings, their peers, and the adults in their world, and I know it meant a lot to the kids. 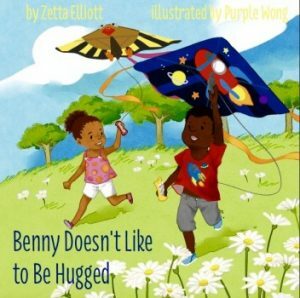 I hope that with more acceptance in the kidlit world, you won’t have to bear this burden alone. We’re really at the beginning stages of the neurodiversity movement, and we need to keep the momentum going. We are indeed just at the very beginning of people’s understanding of neurodiversity, and what real acceptance means and can look like. (And how wondrous that could be! And what gifts it could unlock!) Anyhow — I am so grateful both for you, and for your writing, Lyn. I’m so sad that ROGUE has gone out of print. It continues to be one of my very favorite books. I look forward to reading your updated version and everything else you write, no matter if it is indie or traditionally published. Your voice is powerful and I’ll do my best to share your work more widely. Thank you, Jesse, for your kind works about ROGUE and my writing in general! Most of my recent work, outside of translation, is historical fiction in the vein of Gringolandia, but the book I’m revising now also has an autistic protagonist, one of three who by the end become a kind of collective protagonist. The idea of an autistic protagonist as part of an interdependent group is something I wanted to explore in this novel. You are so articulate and a model for those who need to learn to state their needs. I continue to share Rogue (and just discussed Gringolandia with an intern working in our local library today) and am looking forward to the new novel. Thank you, Lesley! Two of the new novels are similar to Gringolandia in that they explore teens’ resistance to tyranny in the recent past. One is set in Portugal, and the other includes a protagonist on the autism spectrum. And when I’m in Portugal later this spring, I’m going to start work on a new novel that takes place there (as well as writing the final pieces for my e-book travel guide). Lyn, I’m just chiming in here to say that I too appreciate this very important post and your suggestions for how we, collectively, can do better. And as is often the case, things that are necessary to improve life for people on the spectrum are a boon for neurotypical folks too. Clear communication from colleagues, having a quiet corner, etc. are humane touches that will benefit everyone. I agree, Annette! When I wrote my five-part “Working While Autistic” series, one of the common themes of the responses was that these suggestions made sense for all workplaces and schools. Lynn, thank you for this important post! I would be eager to have (and distribute) a list of books written about kids on the autism spectrum–from picture books to young adults. I am totally unaware (except for yours) of any titles. Thanks again for your eye-opening comments. P.S.I think you could have a career just showing kids your Legotown and talking about it! Thank you, Fran! 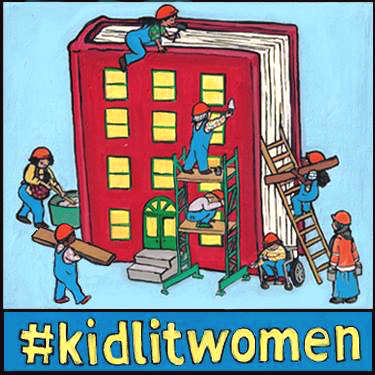 Disability in Kidlit has reviews of books, mostly middle grade and young adult, featuring characters on the autism spectrum. Not all the books are recommended, so it’s a good place to learn about the problematic issues that seem to crop up in a lot of the books written by non-autistic people. 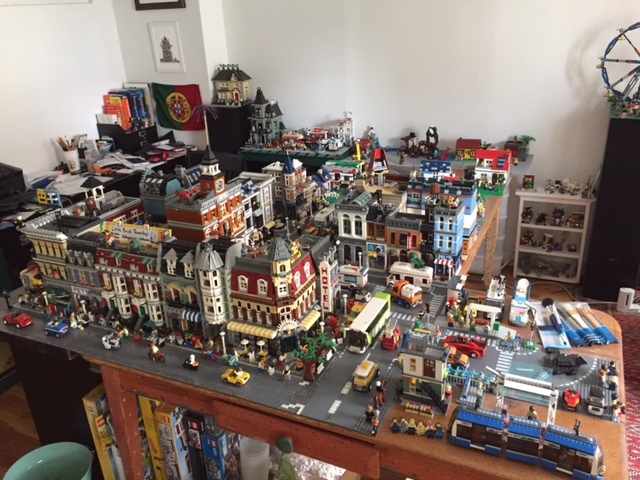 And I love showing people my Lego town. In fact, I just reinstalled Skype on my computer and iPad so I can give virtual tours of Little Brick Township. Thank you for this! I’ll check it! Great post, Lyn! And I’m glad to see so many comments. You know I’m rooting for you! Thank you, Linda! I agonized over writing the post, so I’m pleased that it has gotten such a positive response. Great job, Lyn. This post is beautifully written and heartfelt and brave. I think it will be really helpful to all who read it! Thank you, Kate! And if there’s anyone you know who has follow-up questions, please have them get in touch with me! Thank you, Lyn. As others have said, I appreciate your clarity and words of advice. I too learned through reading this. Thank you for your support, Sandra! I’m thrilled with the discussion that the piece has generated. Hi, Denise! Thank you for reading and writing in! Self-publishing is one way of getting a book out there without having to deal with finding an agent and a publisher. Another is to look for a small press where an agent isn’t necessary. Autonomous Press is a small press that focuses especially on work by autistic writers, and the best way to get in with them is to submit a short story to one of their anthologies. You can check out the website and see if this would be a good fit: http://autpress.com/. As far as self-publishing, you should avoid places that charge a lot of money for things that you can do yourself or hire freelancers to do, such as cover design, interior formatting, and uploading to Kindle, iBooks, Smashwords, etc.